negotiate the meaning of the mystifying conduit between the two: art. experience at Urs Fischer: Marguerite de Ponty is embedded. experience is certainly a derivative of Dadaism. photographs exhibit sharpness not naturally possible. soft material, much unlike a regular pair of crutches. a soft material, warped and then completed for display. The Persistence of Memory, however, I also think of Claes Oldenberg’s soft sculptures. Brown's enterprise, New York; Galerie Eva Presenhuber, Zürich; and Sadie Coles HQ, London. Photograph by Benoit Pailley. artwork, and Andy Warhol comes to mind when discussing wallpaper in a gallery. 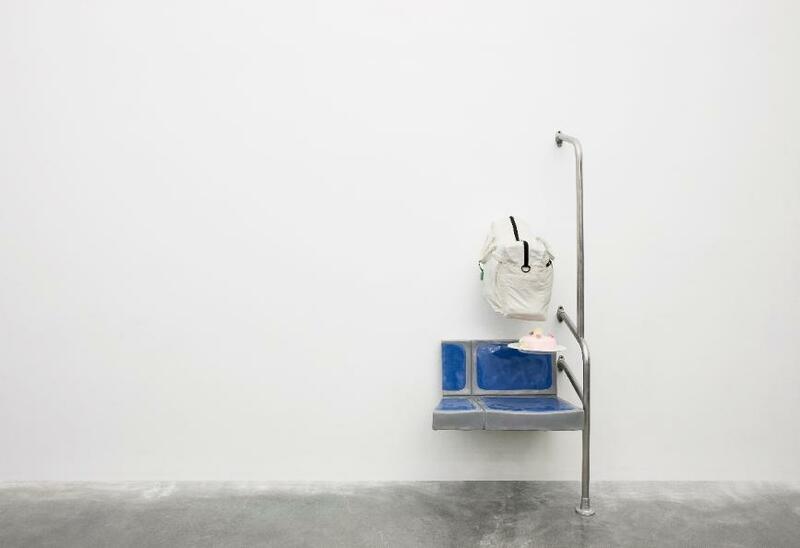 “The Lock” is a subway seat, gym bag and a floating cake; it might be the most poignant statement regarding artists, viewers and art. 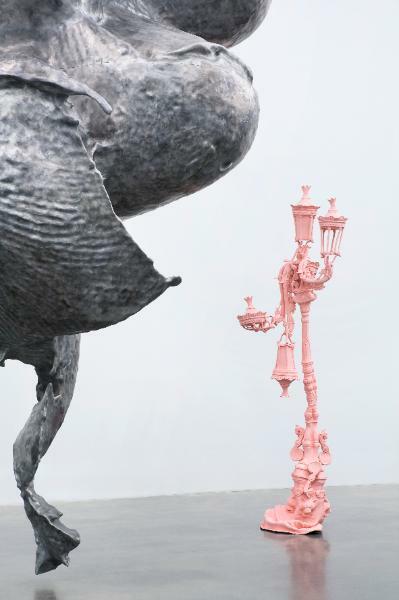 Urs Fischer, The Lock, 2007. Cast polyurethane, steel pipes, and electromagnets, 72 1⁄2 x 29 3⁄4 x 21 5⁄8 in (184 x 75.5 x 55 cm). Collection Amalia Dayan. 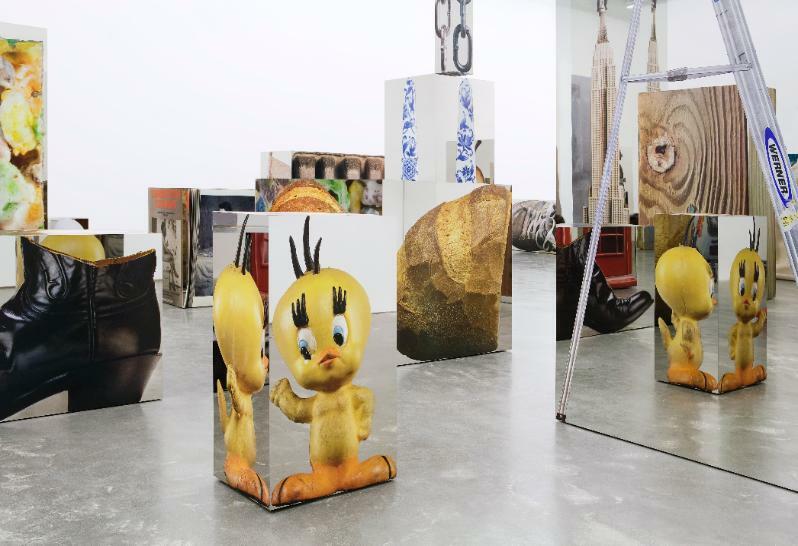 Installation view: “Urs Fischer: Marguerite de Ponty.” Photograph by Benoit Pailley.